This place is a Los Angeles landmark. Lol. No really though, if you live in LA and never been here, I don’t even know what to say to you. If you are visiting LA, this place is a must. 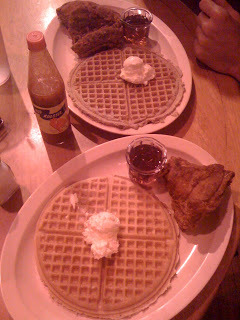 Roscoe’s is a Hollywood classic; always packed, cozy hole in the wall located in the heart of Hollywood. 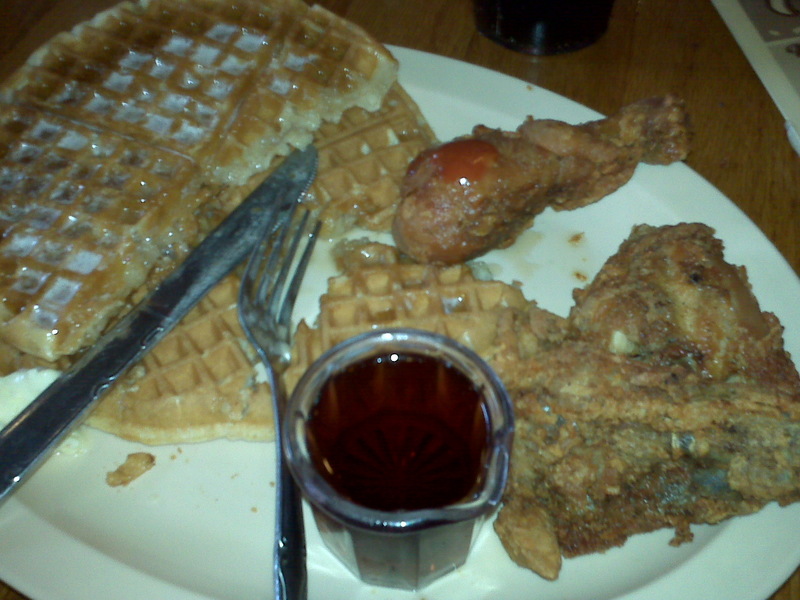 It’s good ol’ Southern comfort food for the soul, and is known for their combo of fried chicken and waffles. I know there are some people who can’t get how the combination of fried chicken and waffles would be good together, but trust me, it’s a masterpiece. It’s obviously not a meal to indulge in every day lol, but once in awhile it is totally necessary, worth the calories and absolutely amazing. It’s open late night too, but if you plan on going after the club, expect it to be jammed packed with a crowd outside and a long wait.